We have come a long way from the first Rare Disease Day which took place over a decade ago in 2008 when 18 countries took part. 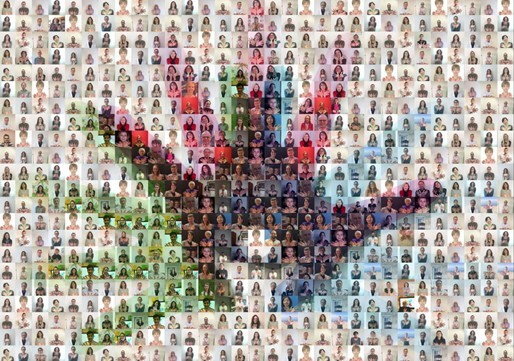 This year, Rare Disease Day was celebrated by patient groups, policy-makers, healthcare professionals and industry representatives in a record 101 countries! We saw another successful year of the #ShowYourRare campaign with thousands of people using the hashtag to raise awareness and show their support. Thousands of events took place in every continent in the world! We welcomed 8 new countries to the movement this year: Dominican Republic, Lesotho, Montenegro, Namibia, Niger, Qatar, Sri Lanka and Zambia. The variety of events was incredible! From a children’s Art Contest and events on Capitol Hill in the US, to fun runs organised in India, a march in Malaysia, and a rare disease symposium in Colombia. 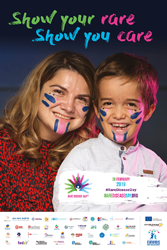 In Europe we saw activities in train stations across France, an event on research in Germany and in Africa there was #ShowYourRare face-painting in Nigeria and many more! A Rare Disease Day Policy Event, the Second High-Level Event of the NGO Committee for Rare Diseases took place at the United Nations in New York with the sponsorship of with the sponsorship of the Permanent Mission of Estonia to the United Nations. Did you host or attend a Rare Disease Day event in 2019? Upload your photos and videos to our website and send us your press clippings and links to videos if you had any media coverage for our media page! This year brought together three testimonial videos that tell the stories of Filip, Karlo and Lorena and their experience of daily life with a rare disease. A special thank you to Rare Diseases Croatia, The Romanian National Alliance For Rare Diseases and The Federación Española De Enfermedades Raras for their work on the videos. The videos were translated into over 35 languages! People around the world painted their face to show support for those living with a rare disease for the #ShowYourRare social media campaign. #RareDiseaseDay trended on Twitter in at least seven countries: Belgium, Canada, France, Netherlands, Spain, UK and US. Well known public figures showed their support for Rare Disease Day on social media including, Vytenis Andriukaitis, EU Commissioner for Health and Food Safety, Dr Tedros Adhanom Ghebreyesus, Director General of the WHO and Members of European Parliament. 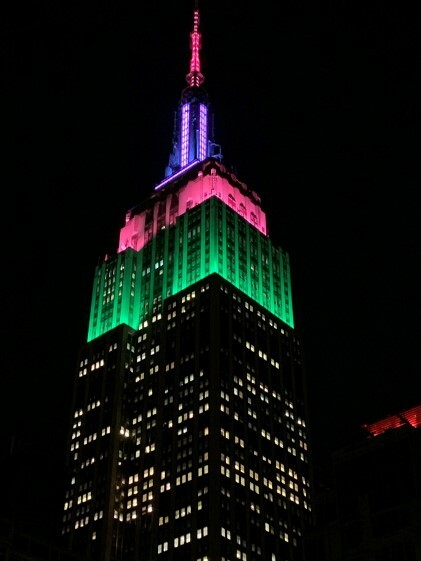 The Empire State building was also lit up in the colours of Rare Disease Day. 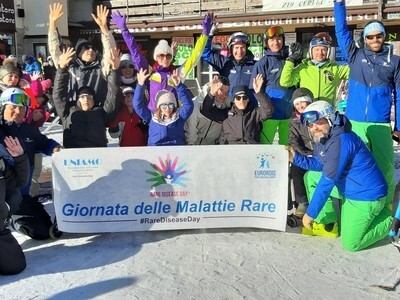 Rare Disease Day 2019 was reported across the world, from the USA to Serbia, to Malaysia, to the Vatican City! It’s not too late to post your face paint photos to social media! Remember to use #ShowYourRare and #RareDiseaseDay so we can see your amazing pictures!